In week 2 of our Courageous series, Nate reminds us of our call as men, to courageously take up the spiritual leadership of our families and to seek God for the strength to do it. “All that is required for evil to triumph is for good men to do nothing.” Scott O’Brien kicks off our Courageous series with a message titled “When Good Men Do Nothing”. What a tremendous Sunday we just experienced on the North Shore! This was the second week of our Courageous series and for this series we are having some “rookie” speakers take a swing at delivering the Sunday message, and this week we were blessed to have Nate Houghtailing step behind the pulpit. We had all been looking forward to hearing Nate speak and as expected it was no normal Sunday. It began early, with many new and fresh faces entering the cafeteria. Nate and his wonderful wife Terese had put the word out about Nate’s first message and many friends and family came to support him. In fact we had to lay down a few extra rows of chairs to accommodate everyone and we nearly ran out of communion juice! By one count nearly 30 additional adults joined our fellowship this Sunday to listen to Nate. The surprises didn’t end there. Several times throuought the service the campus electrical supply was disrupted. The projectors blinked, the lights flickered, the livestream faltered, but despite it all the service continued, determined to not allow these distractions to take the focus off equiping the men to be God honoring husbands and fathers. Nate spoke with conviction, humility and transparency and reminded us all of our call as men, to courageously take up the spiritual leadership of our families and to seek God for the strength to do it. Due to the electrical challenges, only the beginning and the end of Nate’s message was recorded on video online, but the entire message is available on audio and we will try to make that available here and as a podcast in the near future. For now you can see what we did record at this location: http://www.livestream.com/newhopehaleiwa. In case you missed it, here’s the VIDEO link to the Courageous Series Kickoff message by Scott O’Brien titled “When Good Men Do Nothing”. Filled with action-packed police drama, COURAGEOUS is the fourth film from Sherwood Pictures, the moviemaking ministry of Sherwood Baptist Church. Riveted moviegoers will once again find themselves laughing, crying, and cheering as they are challenged and inspired by everyday heroes who long to be the kinds of dads that make a lifelong impact on their children. Protecting the streets is second nature to these men. Raising their children in a God-honoring way? That’s courageous. 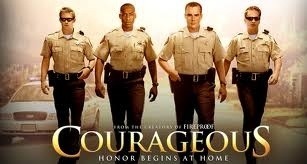 Click here to learn More About the Courageous Movie. Glenn reflects and teaches on Mothers Day. NHCO celebrates at a recent baptism & potluck! On May 6th NHCO had the privilege of baptizing 28 folks in the waters off Haleiwa Ali`i Beach Park. Over 100 family and friends gathered to celebrate with those participating in the baptism, each one being cheered on as they were immersed to make a public declaration of what the Lord is doing in their lives. Congratulations and leis were exchanged as hearts soared with excitement. 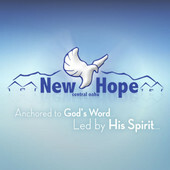 NHCO’s next scheduled baptism will be July 4, 2012 at Camp Mokuleia. If you are interested in participating or receiving more information on baptism, please contact the Ministry Center at 621-9363.